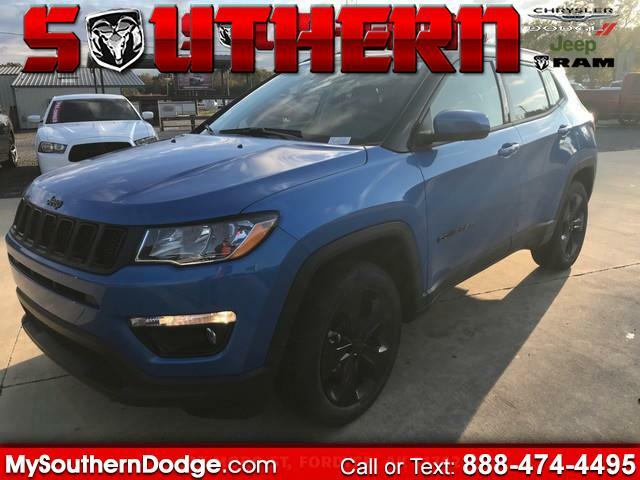 Contact Southern Chrysler Dodge Jeep Ram today for information on dozens of vehicles like this 2019 Jeep Compass Altitude 4x4. Want more room? Want more style? This Jeep Compass is the vehicle for you. Take home this Jeep Compass Altitude 4x4, and you will have the power of 4WD. It's a great feature when you need to drive over tricky terrain or through inclement weather. Based on the superb condition of this vehicle, along with the options and color, this Jeep Compass Altitude 4x4 is sure to sell fast. You can finally stop searching... You've found the one you've been looking for.